According to several reports, Sen. John McCain told the White House recently that he does not wish for President Donald Trump to attend his funeral. The veteran Republican from Arizona said that he wants Vice President Mike Pence to attend the ceremony instead. McCain — who will be 82 in August — was diagnosed with a rare form of brain cancer known as glioblastoma in July 2017. Doctors had to remove a blood clot from above his eye. Last month, McCain had surgery for an intestinal infection and he has since been at home in Arizona. “I don’t know how much longer I’ll be here,” McCain said in a snippet from his upcoming memoir, which NPR revealed a part of. 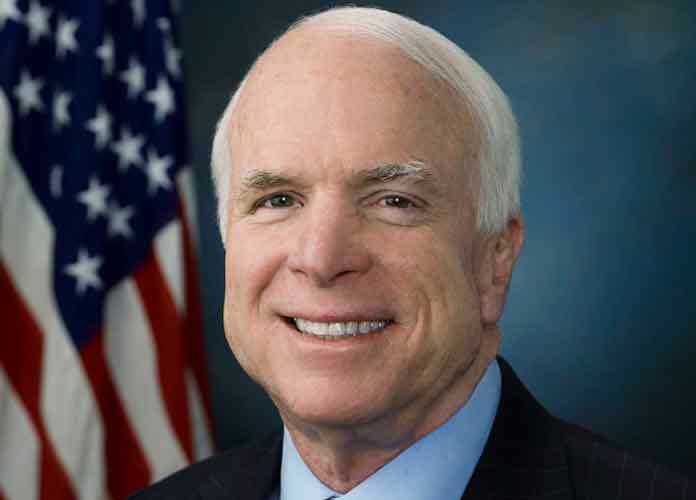 The 2008 Republican nominee for President, McCain has been serving as a senator since 1987, and was a member of the House of Representatives before that. He serves as chairman of the Senate Armed Services Committee, although he has played a smaller role in office since his diagnosis last year. NBC News reported that McCain also wants former presidents Barack Obama and George W. Bush to give eulogies at his funeral. Trump did not attend the funeral of former First Lady Barbara Bush last month; Melania Trump attended the ceremony instead. The president has long criticized McCain, beginning with one infamously disparaging and controversial comment he made about the former U.S. Navy officer who fought and was held captive as a prisoner during the Vietnam War. Trump has also called McCain a “foul-mouthed” man and slammed the Arizona Senator for voting “no” during a crucial Obamacare repeal bill last summer, around the time of McCain’s tumor diagnosis. McCain has also in turn heavily criticized Trump several times, from the president’s imposition of a ban on citizens from Muslim-majority countries, to his administration’s strategy for dealing with the recent chemical weapons attack in Syria. The senator’s daughter Meghan McCain said on Twitter on Friday that she was returning home to Arizona to be with her family. According to NBC News, former Vice President Joe Biden is among the friends of McCain who recently visited him in his home state. According to several reports, McCain told Biden to “not walk away” from politics, perhaps suggesting that the Democrat take on another important role in Washington, D.C.
Biden is often mentioned as leading leading the Democratic field for president in 2020. According to several reports, McCain will also address his 2008 presidential bid in his memoir, in which he reveals that he wishes he had chosen former Connecticut Senator Joe Lieberman (an Independent) as his running mate instead of Sarah Palin. Palin, the former Governor of Alaska, became a very polarizing figure during the 2008 election.